Belief is a choice, like trust and bravery. Trust and belief are choices, once made become invisible. 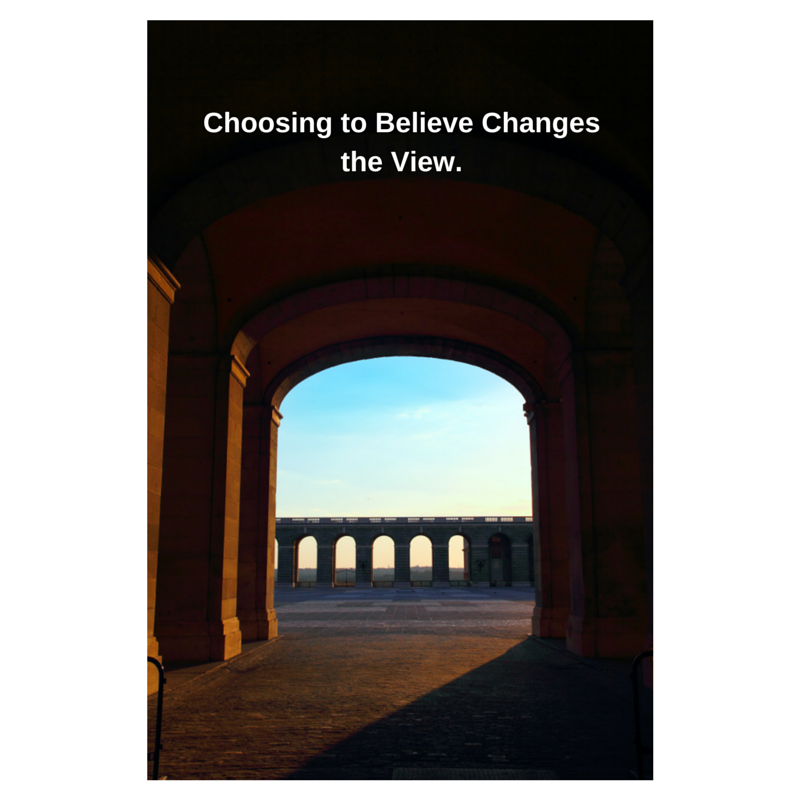 If you make the choice to not believe, it is always the lens you view the world through. On November 3, 1929, Robert Ripley drew a panel in his syndicated cartoon saying “Believe It or Not, America has no national anthem. “Despite the widespread belief that “The Star-Spangled Banner”, was the United States national anthem, congress had never officially proclaimed it. By a law signed on two years later, by President Herbert Hoover, “The Star-Spangled Banner” was adopted as the national anthem of the United States. That was the beginning of Ripley’s real fame. The 1930s saw Ripley expand his presence into other media. In 1930, he began a fourteen-year run on radio. Ripley recorded live radio shows from underwater, the sky, caves, snake pits, and foreign countries. The next year he hosted the first of a series of two dozen Believe It or Not! theatrical short films. In 1932, Ripley opened his first museum, the Odditorium, in Chicago in 1933. The concept was a success, and at one point there were Odditoriums in San Diego, Dallas, Cleveland, San Francisco, and New York City. By this point in his life, Ripley had been voted the most popular man in America. He asked millions worldwide to believe or not – make a choice. Once you choose to believe – 2+2=4, Man landed on the moon, Jesus is the risen Lord, your partner loves you … all forms of opportunity presents itself because of the lens you are viewing. Some choices are or we think are empirical like the earth is round and we can use ‘evidence’ to analyse and decide. Some are philosophical like helping the poor is laudable and we opt for the one that fits with existing values. In love emotions can be the measure that tips the believe scale. Loyalty, faith, experience and intuition contribute in varying measure to the choice, depending on the circumstance and occasion. Regardless of how the choice is made, once made a new viewpoint opens and we see this world with brightness. This choice, like all our choices can be reversed or altered, for an equal number of combinations of reasons. Today, choose to believe that you are loved (you really are). Fake it if you must. In every situation today make the choice to believe that you are admired, accepted and adored. How does this one choice change your day? How would making a habit of believing change your life? Reblogged this on Delton's Hang Out. Very good post! Shared on Linked In and twitter.